Leina Broughton - Flagship Store opens! Expired Leina Broughton - Flagship Store opens! Nestled amongst the new boutique precinct on Tallebudgera Creek Road. Leina Broughton is label that resonates with women who refuse to compromise on style or quality. Driven by the desire to find her own sense of style that confidently reflects the woman she is. The Leina Broughton woman is always on the move and needs her wardrobe to move with her. Like it’s designs Leina Broughton is unique and distinctive, releasing capsules every month giving it’s customers’ freedom and options beyond traditionally timed and seasonal collections. 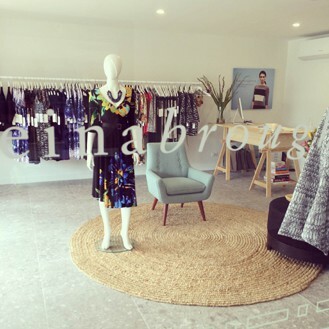 Leina Broughton is a boutique label that offers women classic and contemporary pieces, teamed with head-turning, on-trend fabrics and flawless fit, all while celebrating a woman’s shape, lifestyle and individuality. Mention Missy and receive $25 off your first purchase on clothing.